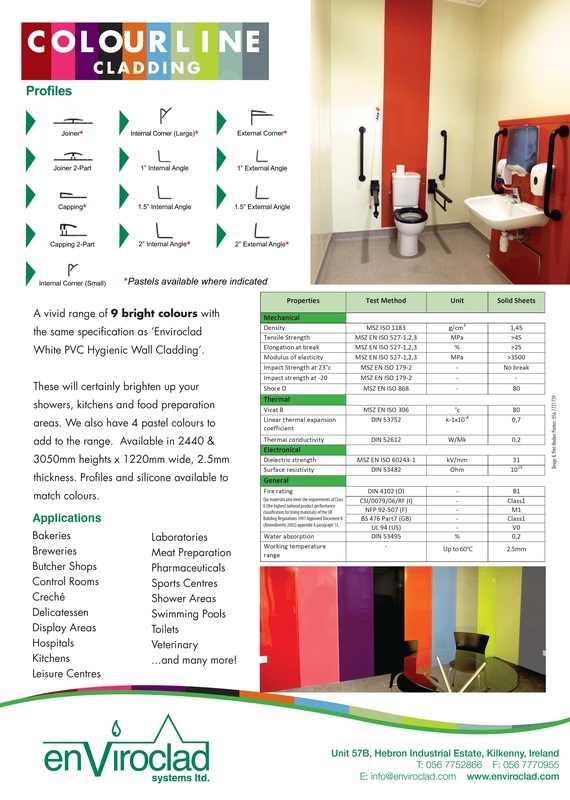 Introducing a vivid range of 9 bright colours and Black with the same specification as “Enviroclad White Hygienic Wall Cladding”. 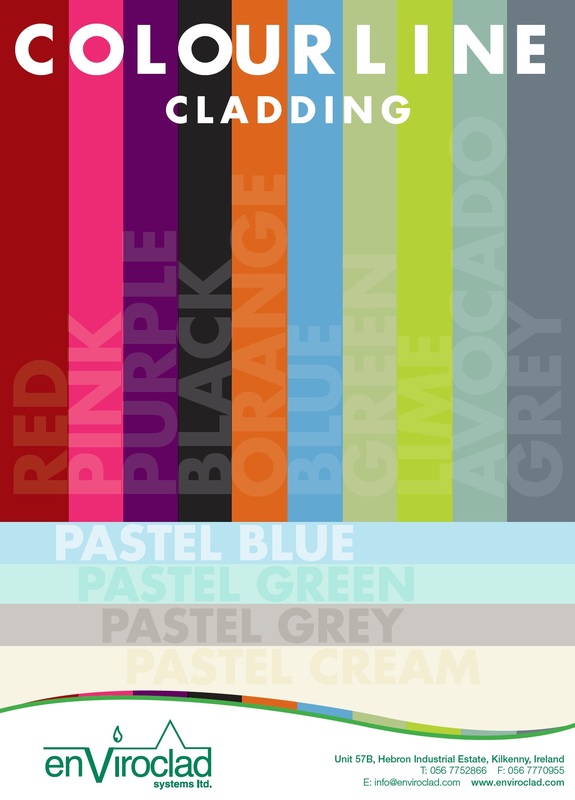 These will certainly brighten up your showers, kitchens and food preparation areas. We also have 4 Pastel colours to add to the range. Available in 2440 & 3050mm heights x 1220mm wide x 2.5mm thick. Profiles and silicone available to match colours. Previous Previous post: Millennium Decor now in stock at a great price! Next Next post: OFFER OF THE MONTH !